Jim Morgan, a legendary wrestling coach at UTC and at Baylor School, died Friday, as did John Farr, another local wrestling icon. Coach Morgan had retired from Baylor in 2010 at age 72 after being head wrestling coach for 25 years. He led the Red Raiders to nine of the school’s 13 state traditional team titles, the last one coming just before his retirement at the Williamson County Agricultural Expo Center, as Baylor edged McCallie, 282 to 277. John Farr attended Rita Wert Elementary School, graduated from Baylor School and earned his bachelor’s degree from the University of Chattanooga. He got his masters at the University of Tennessee, Knoxville and a doctorate at Middle Tennessee State University. He was in the Army for over 30 years and retired as a Lt. Colonel. He taught in the public schools at Red Bank High School where he started the wrestling program, Chattanooga Central, and Sale Creek. 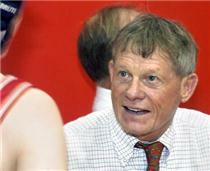 He coached Red Bank to a then-record three straight state wrestling championships. Coach Farr started the wrestling program at Chattanooga State, directed state tournaments, officiated NCAA Division I tournaments and served on the High School National Federation Wrestling Rules Committee and advisory boards. He retired from Chattanooga State Community College as head of the humanity department. 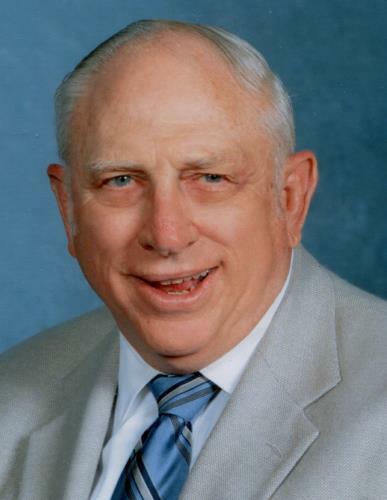 He was a member of three halls of fame: Greater Chattanooga Area Sports Hall of Fame, TSSAA and the Tennessee Chapter of the National Wrestling Hall of Fame. He was president of the Greater Chattanooga Area Sports Hall of Fame, member of Incline Investors Club, Chattanooga Area Historical Association and Red Bank Historical Association. Upon Coach Morgan's retirement, sports writer B.B. Branton called him "not only a Hall of Fame coach, but a Hall of Fame person." On his watch, Baylor was 539-84-1, with six state duals titles, 60 individual state champions, including four-time winners Jordan Leen and Bailey Whitaker. Coach Morgan was a member of three halls of fame - Chattanooga, Baylor School and the Tennessee chapter of the National Wrestling Hall of Fame. Writer Branton said, "Jim Morgan has had coaching success for 50 years from his start at Red Bank Junior High School in the early 1960s, followed as an assistant coach at McCallie School, one year as head coach at Pine Crest School (Fla.) and 16 years as head coach at Tennessee at Chattanooga. "A quality administrator and innovator as well as coach, he served as director of the state traditional tournament for 25 years, (1985 to 2009) when the event was held at UTC's Maclellan Gym and later at McKenzie Arena. "He helped make the state tournament as fan-friendly as possible by having coordinating individual match numbers at each mat and in the program, have the tournament scoring system in the program and even had a pay phone installed in the Maclellan Gym lobby. "As a young chemistry teacher at McCallie in the mid-1960s, he had the students in mind as he established a used book store on campus. He allowed students to swap used books, one for one, or for purchase at a discounted rate so as to avoid the cost of new books for every class." “Whatever success I have had as a coach it is based on my relationship with coach Morgan,’’ said Jim Glasser, Lovett School (Atlanta) wrestling coach and three-time Southern champion at UTC. Coach Morgan told the story of how Glasser's father, Dr. Julian Glasser, convinced the young chemistry teacher/assistant wrestling coach the need for a Master's Degree in science. "In the winter of 1968, I was planning to leave my teaching and coaching position at McCallie after the spring semester and go to graduate school at UT in Knoxville,'' stated Morgan. But UTC wrestling coach Andy Nardo died during the 1967 season, Joe Geri served as coach for the 1967-68 season and Jim Morgan became head coach in the fall of 1968. UTC officials were able to convince Morgan to stay in Chattanooga for the 1968-69 school year as Mocs head wrestling coach, and also be able to pursue the graduate degree in science. "That was a big decision for me, but it has seemed to work out for the best for all concerned,'' said Morgan who did earn his graduate degree in general sciences and turned the Mocs wrestling program into a national power at the NCAA D-II level. While at UTC, Morgan had a Moc career-best 203 wins, led the Blue and Gold to a pair of top five finishes at the NCAA D-II tournament (3rd in 1975, 2nd in 1976) and coached 16 NCAA All-Americans, including three NCAA champions in Randy Batten (3), Turner Jackson (2) and David Weeks (2). Morgan’s start in the sport came as a sophomore at McCallie. Writer Branton said, "And the sport, which one fan described as being 'the only sport in which you have to be in shape to watch' has been all the richer and better for that choice. "Raised near McCallie School in the Highland Park area by his grandparents, Morgan received an anonymous full scholarship to the all boys prep school." Coach Morgan was first part of the McCallie wrestling program in the winter of 1954 when Blue Tornado senior Howell Clements won his second Mid South title. The Signal Mountain resident retired as coach the same night in which Howell Clements’ grandson, Houston, won a state medal for McCallie as a sophomore. --Luther Killian, McCallie assistant coach, 1968 national prep champion, member of the Tennessee Chapter of the National Wrestling Hall of Fame. --G.P. West, former wrestling coach at Brentwood and Whites Creek High Schools and charter member of the Tennessee Chapter of the National Wrestling Hall of Fame. --Artie Manning, Clarksville High School wrestling assistant coach, member of the Tennessee Chapter of the National Wrestling Hall of Fame. Funeral arrangements for Jim Morgan are being handled by Lane Funeral Home on Ashland Terrace. The Farr family will receive friends from 4 to 8 p.m. on Monday and 12:30 to 2:30 p.m. on Tuesday at the North Chapel of Chattanooga Funeral Home. A Celebration of Life service will follow at 2:30 p.m. on Tuesday at the North Chapel of Chattanooga Funeral Home with Dr. Steve Highlander and John T. Smithson, III officiating. Burial will be in Chattanooga Memorial Park.